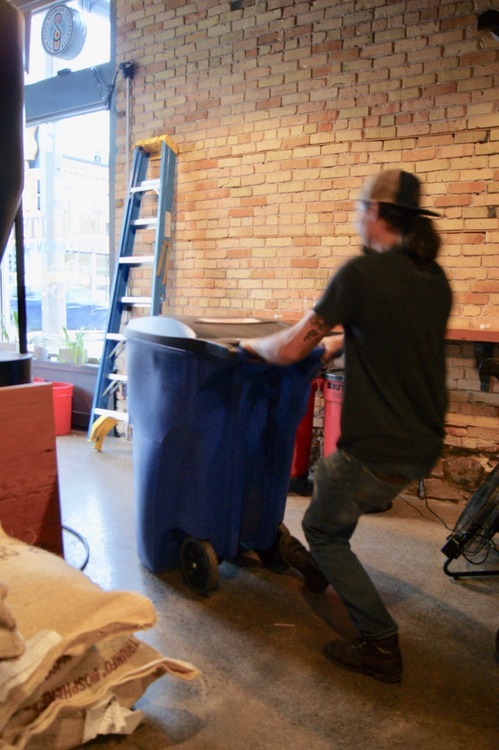 Eric hard at work, moving bins heaping with roasted coffee beans! 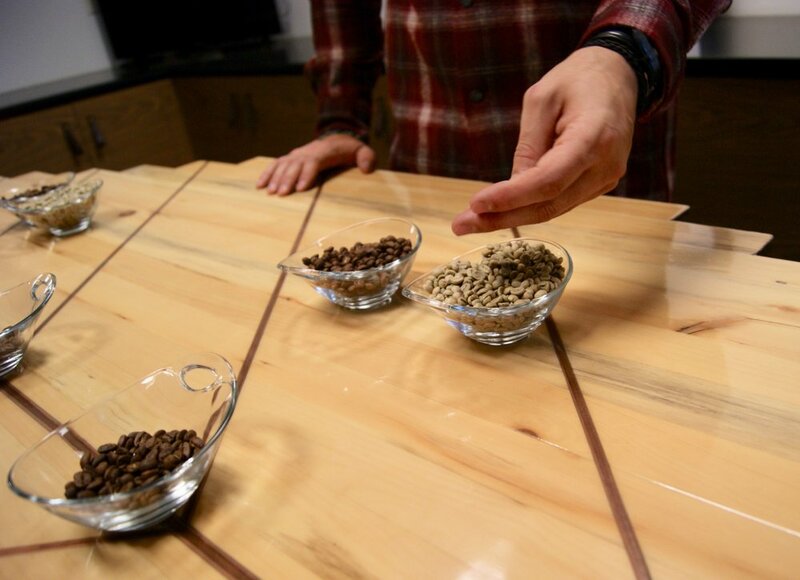 This cupping table, in the shape of a coffee leaf and stained with coffee, was handcrafted by a friend designed specifically for Duluth Coffee Company for the purpose of tasting coffee. After a two-hour road trip to the rough and rocky shores of Lake Superior, you might end up in the heart of the city of Duluth, MN. 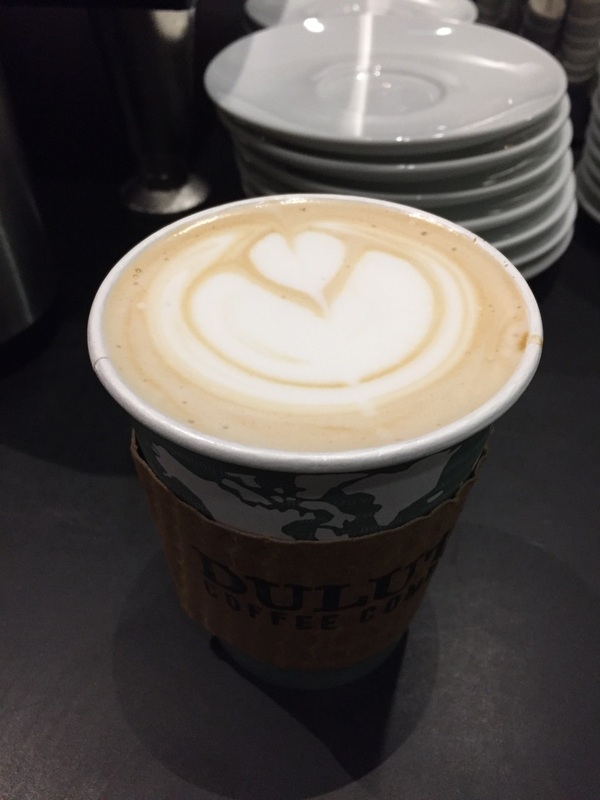 Here you might find yourself on the cobblestone corner of Superior Street and 1st Ave, standing in front of Duluth Coffee Company - a sustainable café and coffee roastery. At least this is where we (The Watershed Café’s owner Rita Rasmuson and trusty side-kick marketing coordinator Summer Kelly) found ourselves on a late-October day. Entering through the glass doors of the café, we were greeted by the rich aromas of freshly-brewed coffee and the warmth of Sam Levar’s friendly smile. Sales manager for Duluth Coffee Company, Sam was our host and expert tour guide for our visit. From the café, we walked through a short hallway to the roastery and stood in front of a giant roaster (a towering metal structure looking like a tin-man) while Sam described the history of Duluth Coffee Company. “Eric Faust, owner and founder of the coffee company, started roasting coffee out of his garage with a 3-kilo machine. Since then, he has experienced incredible demand and growth,” Sam explained. 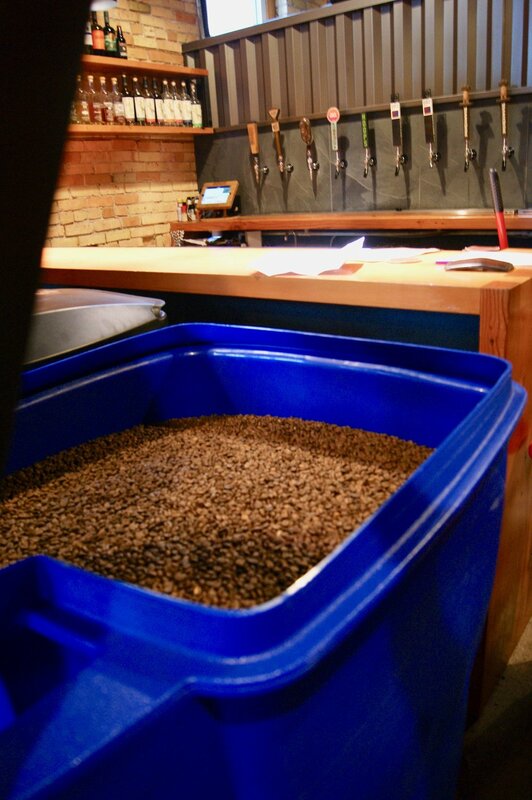 “In 2012, Eric opened the coffee roastery and café here in downtown Duluth and bought a 12-kilo roaster that allowed for larger production. Last year, we acquired this 70-kilo roaster, and this year, we are celebrating 6 years at the café,” Sam said with glowing enthusiasm. From selling coffee out of a garage to traveling the globe to discover high quality coffee, Duluth Coffee Company has come a long way in just 6 years. “Eric has been to Colombia, New Mexico, Guatemala, Peru, Chile, and Costa Rica for coffee,” Sam mentioned. “To Eric, coffee is all about origin. It’s about paying homage to where coffee comes from.” Using intentional, handcrafted roasting techniques is one way Duluth Coffee Company honors the origin of coffee. As Sam explained, coffee beans contain inherent flavors and qualities based on the country they were grown in, the varying growing conditions specific to the region, and the different cultural methods used to process the beans. In addition, green coffee beans have different profiles that are enhanced through roasting. “When Eric first started roasting, and bringing out the natural flavors of the bean, very few roasteries were doing this, especially in Minnesota,” Sam said. 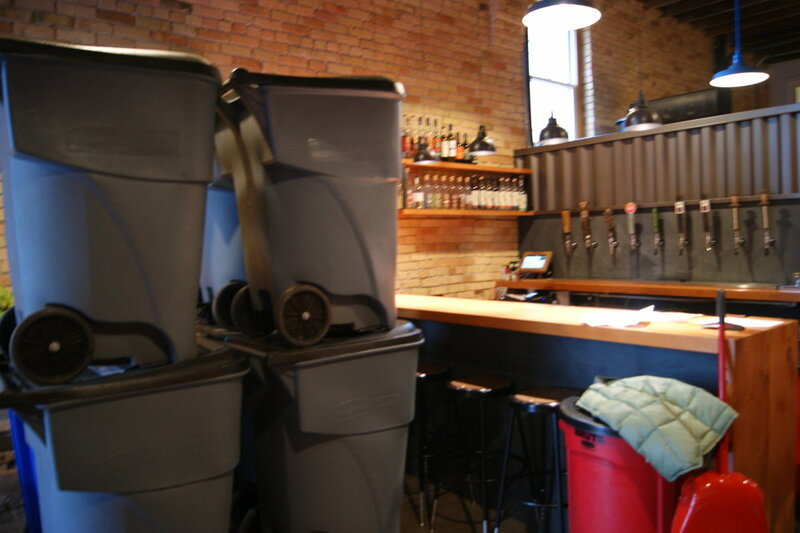 From its very start, Duluth Coffee company has been leading-edge in the industry. Working directly with single family coffee farmers and Café Imports, a sustainable coffee importer based in Minneapolis, MN, ensures much-needed transparency in a historically murky industry. 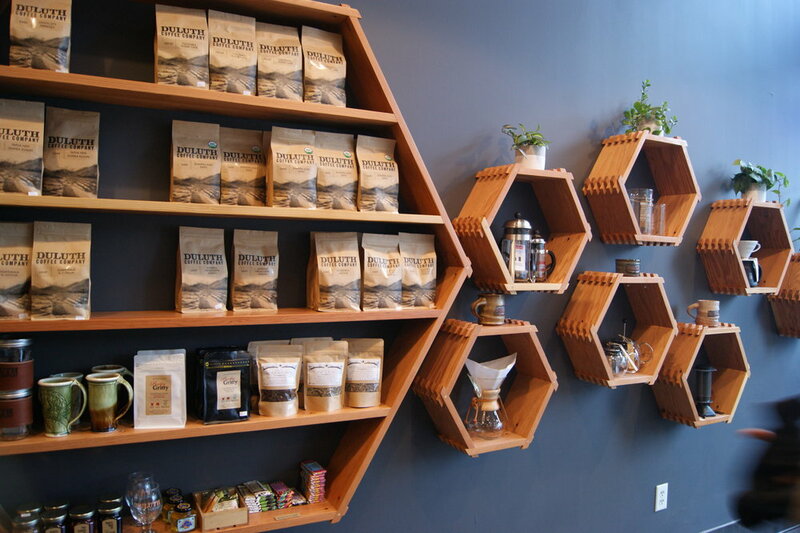 “There are so many barriers, so many layers, in the coffee industry. That’s why it is important to have lasting connections with small family farms,” Sam explained. “For us, fair trade is more than just a word on a label. We are farmer focused. We know where the coffee is coming from; that it is produced with integrity; that the farmers are fairly paid for their high-quality coffee; and that the workers receive a livable wage,” stated Sam. From its sustainably-sourced beans to its handcrafted roasting techniques, Duluth Coffee Company produces delicious coffee that you can feel good about! The Watershed Café is proud to partner with Duluth Coffee Company. For more information about the coffee, the team, and their sustainable efforts, visit duluthcoffeecompany.com. 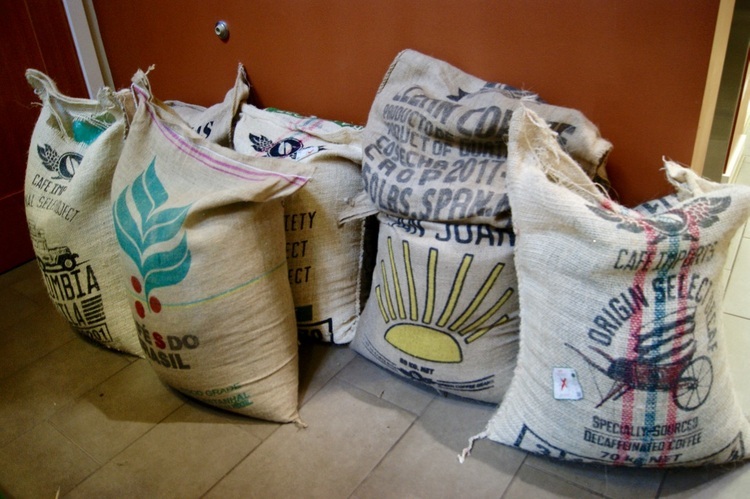 For more information on the ethical values of Café Imports, visit cafeimports.com.